Bedford Dormobile at Swan Motors in Birmingham. Homepage. This page: An item of ephemera relating to a classic camper van sale, in March 1961. Swan Motors sell a Bedford CA Dormobile. This old sheet of paper turned up in a box of old documents at an antiques centre recently. 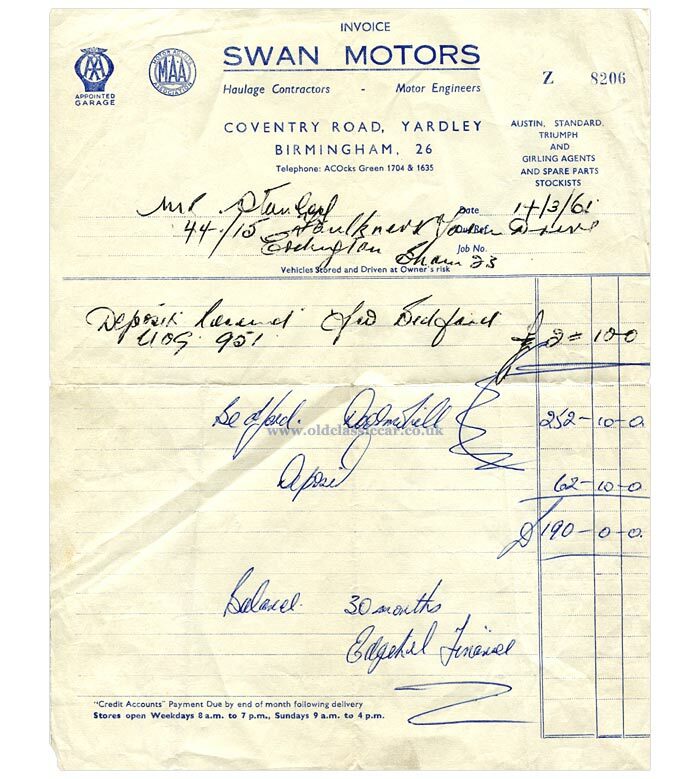 Swan Motors, of Coventry Road, Yardley in Birmingham originally raised this invoice/receipt in 1961. It documents the sale of a Bedford CA Dormobile (camper van) to a Mr Stanley, of Faulkner's Farm Drive in Erdington. If I'm reading the Bedford's registration correctly - UOG 951- then it was Birmingham-registered, from a series introduced in November of 1956. 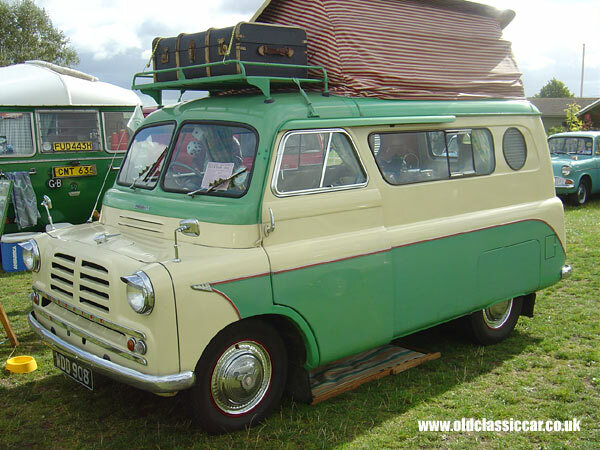 This would make it a Mk1 Bedford CA Dormobile, with the distinctive circular "porthole" window, as seen on the example shown below - seen at a show in Malvern a few years ago. Swan Motors were sales agents for Austin, Standard and Triumph vehicles at the time but clearly could supply a wide variety of vehicles from other marques, as this item of paperwork illustrates. It was an AA-appointed garage, and also part of the M.A.A. (Motor Agents' Association). A company called SAS Autos continues to trade from Coventry Road and is, I believe, Swan Motors under a newer name and, given the years that have passed, different ownership. More items of paperwork, such as garage invoices, blotters, sales leaflets and more in the Motoring Collectables section of Old Classic Car.